Posted by Jill S. Schneiderman in volcanic hazards. Flight Engineer Jeff Williams contacted the Alaska Volcano Observatory (AVO) on May 23, 2006 to report that the Cleveland Volcano, as photographed by Williams, was emitting a column of ash. The AVO reported that the ash cloud height might have achieved a height of 20,000 feet above sea level. 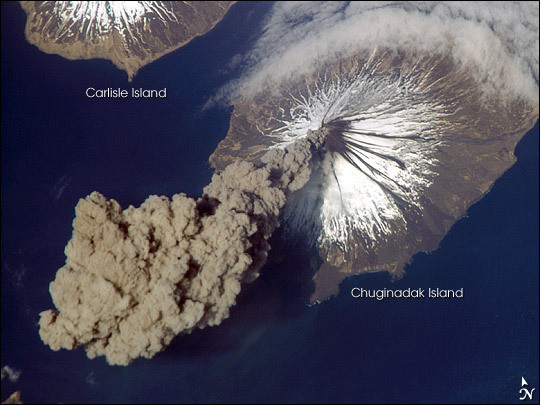 Cleveland Volcano, one of the most active of the volcanoes in Alaska’s Aleutian Island chain, is a stratovolcano, composed of alternating layers of hardened lava, compacted volcanic ash, and volcanic rocks. Northwestward movement of the Pacific lithospheric plate beneath the North American lithospheric plate generates magma that results in the eruptions of ash and lava from the volcano. Watch Dina Venezky, Ph.D., a geologist for the United States Geological Survey’s volcano hazards program in Menlo Park, California, explain lucidly this type of hazard. 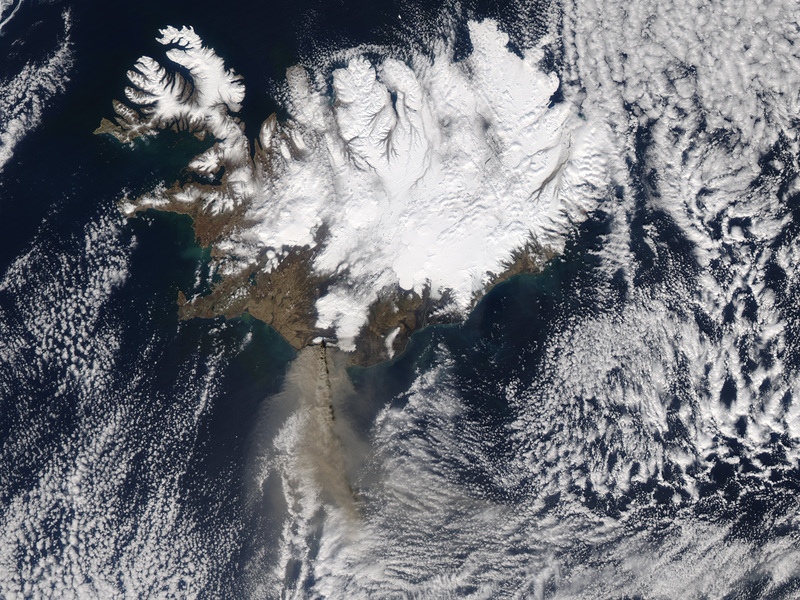 And check out Iceland-specific information via Scientific American’s reliable coverage. Posted by Jill S. Schneiderman in contemplative practice, disasters, earthquakes, geology, Iceland, mountain building. With the earth functioning for me as an object on which to meditate, or at least as a source of teachings that resonate with Buddhadharma, doubt is the hindrance that shakes my ability to use earthdharma to cultivate equanimity in light of the April 13 earthquake in Qinghai Province, China. Scientific understanding of earth processes has enhanced my capacity to access Buddhadharma, but at this moment it’s hard for me to regard the earthquake dispassionately and simply as a manifestation of the earth’s dynamism and propensity to change. It’s true that this earthquake occurred because of the sideways slipping between two lithospheric plates—the same kind of motion that caused the 2010 Port-au-Prince earthquake I’ve previously written about for this blog. The eastern Tibet Plateau is a geologically complex region where the Indian and Eurasian lithospheric plates converge; you can picture what’s happening in the earth’s crust there by imagining the configuration and forces that result when you eject a seed from between the thumb and pointer finger of your left hand, the Tibetan plateau being the seed. I know with my geoscientist’s mind that the 6.9 magnitude temblor likely reflects the interplay among the major tectonic (mountain building) forces along the Kunlun fault system that runs approximately 300 kilometers north of the epicenter of the seismic event. This tremor is one of the largest known quakes within several hundred kilometers of this location; one with similar magnitude occurred nearby in 1738. Regardless, my scientist’s heart feels the vicissitudes of pain and loss when I read that hundreds of people have been killed and thousands injured and buried under debris, many of them peaceful ethnic Tibetan farmers and herdsmen like those I encountered on excursions in Qinghai province in the summer of 2008, just after the devastating Sichuan earthquake. I experience the unpleasant feeling tone that accompanies my geoscientific knowledge. And my heart doubts what my head grasps. I’ve been asked often in 2010 if the frequency of earthquakes is increasing. My mind comprehends that although it may seem that we are having more earthquakes, the U.S. Geological Survey (USGS) reports that quakes of magnitude 7 or greater have remained essentially constant. I accept the partial explanation that, according to the USGS, in the last two decades we have been able to locate more earthquakes because of vast, improved and rapid global communication systems and the higher number of seismograph stations in the world than ever before. These conditions cause a 21st-century population that is already quite concerned about environment and hazards to learn about these earthquakes as they happen. Historical records suggest that we should expect annually one great earthquake (above 8), 15 major quakes (7-7.9) and 134 tremors of 6 to 6.9 magnitudes. By this accounting, the year 2010 has offered no greater seismic hazard than usual. I try to see this latest earthquake as evidence of cyclic impermanence and Earth renewal. Still, my scientist’s heart aches. I set down my pen to sit so that I might cultivate both compassion in my heart for the living beings of that region, and equanimity that can help me along the path of using geoscientific insight to reduce suffering. This entry was created by Jill S. Schneiderman, posted on April 18, 2010 at 11:14 am and tagged China, Death & Dying, Environment, Science, Tibet. Bookmark the permalink. Follow any comments here with the RSS feed for this post. Posted by Jill S. Schneiderman in climate change, fossil fuel. Amy Goodman, host of Democracy Now, interviewed Bill McKibben today. Bill makes his points well. 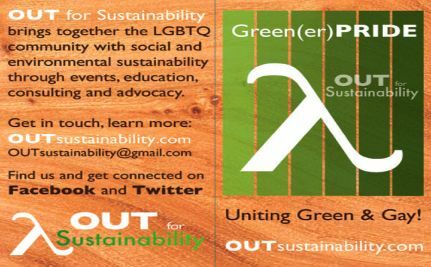 Posted by Jill S. Schneiderman in earth community, fossil fuel, incinerators, landfills, municipal waste (household garbage), recycling. Today’s New York Times article (“Europe Finds Cleaner Energy from Trash) explains how incinerators that burn household garbage, ones that are much cleaner than conventional incinerators, are being used to turn local trash into heat and electricity for neighborhood homes in Denmark. 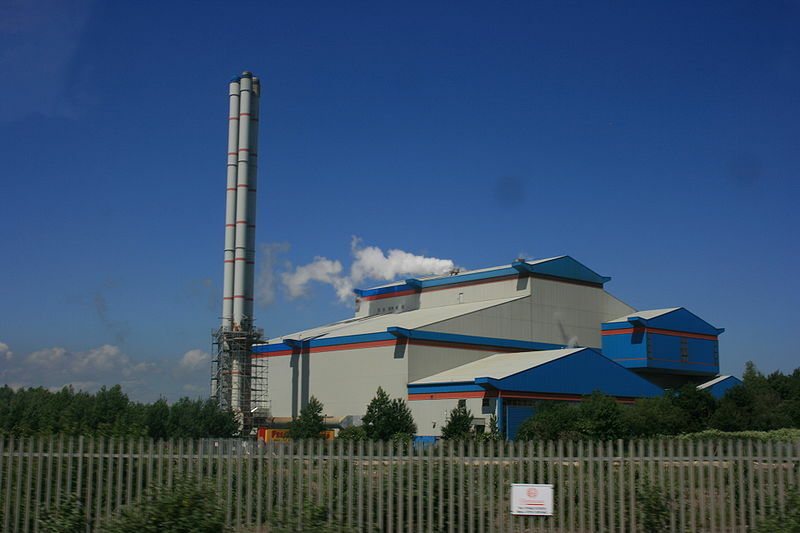 Multiple filters on these incinerators trap toxic pollutants such as mercury and dioxin. Over the last ten years, these plants have become the main means of garbage disposal and an important source of fuel in areas of varied land use and economic class. Use of these incinerators has minimized the country’s need for fossil fuels for energy and has reduced the use of landfills, thus diminishing the country’s carbon emissions. In Denmark, garbage is a clean alternative to fuel, not a disposal problem. It’s a remarkable story and one that seems a good tribute by which to acknowledge today’s release of Bill McKibben’s new book, Eaarth: Making a Living on a Tough New Planet. Bill McKibben, author of more than a dozen books including The End of Nature (1989), perhaps the first book for the layperson about climate change, and founder of 350.org, a global warming awareness campaign that coordinated what CNN called “the most widespread day of political action in the planet’s history,” has devoted much energy to rallying awareness about climate change. 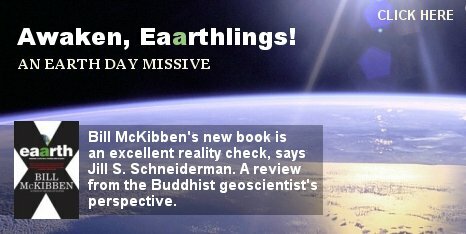 In Eaarth, McKibben argues that humans have changed Earth in such fundamental ways that it is no longer the planet on which human civilization developed over the past 10,000 years. Seawater is becoming acidic as oceans absorb carbon from the atmosphere; the cryosphere—Earth’s once frozen realms of ice caps and high mountain glaciers—has melted or is in the process of doing so; tropical regions of the globe have pushed two degrees further north and south changing patterns of rainfall and causing droughts, fires and floods. It’s a new planet he says, hence Eaarth, not Earth and we’ve got to wake up and start living on it differently. What to do? Steer away from the path of insatiable growth that has caused Earth to morph into Eaarth, says McKibben. “Scale back” and “hunker down.” Create communities that concentrate on the essentials of maintenance rather than the spoils of growth. He provides inspirational examples of neighborhood windmills, provincial currencies, corner markets, and local internet communities to jump-start this endeavor. Let’s add to his list of changed behaviors, the use of Danish garbage incinerators. Today’s New York Times article notes that no new waste-to-energy plants are planned for the United States, even though the federal government and twenty-four states currently classify waste that is burned this way for energy as a renewable fuel. We have 87 trash-burning power plants in the U.S., almost all built at least 15 years ago. Right now, we send most of our garbage to landfills. New York City sends 10,500 tons of residential garbage to Ohio and South Caroline every day. Why? The worst trend in traditional environmentalism is responsible for this situation. Not-In-My-Back-Yard-ism. As McKibben urges in Eaarth, it’s time for a change folks. In Denmark, garbage to energy plants are placed deliberately in the communities they serve so that the heat of burning garbage can be most efficiently sent to homes. In the community highlighted in the NYT article, Horsholm, 80% of the heat and 20% of the electricity comes from burning trash. As a result, homeowners’ bills as well as carbon dioxide emissions are lower. It’s this type of thought and action that Mckibben urges us towards in Eaarth, an inspiring read.